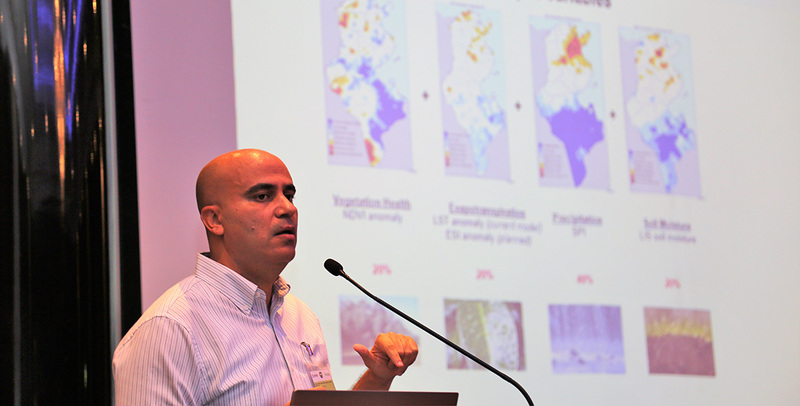 The experts convened in Dubai, UAE, on 25-26 September 2018 at an international policy workshop, which was organized by the United States Agency for International Development (USAID), the International Center for Biosaline Agriculture (ICBA), and the National Drought Mitigation Center (NDMC) of the University of Nebraska - Lincoln, USA. Experts from Jordan, Lebanon, Morocco and Tunisia presented drought monitoring validation results for their respective countries. As climate change-induced droughts are becoming more frequent and severe, especially in regions like the Middle East and North Africa (MENA), the workshop looked at how various initiatives such as the ICBA-led project “Regional Drought Management System for Middle East & North Africa (MENA-RDMS)” can help to better respond to droughts and lessen their impacts. 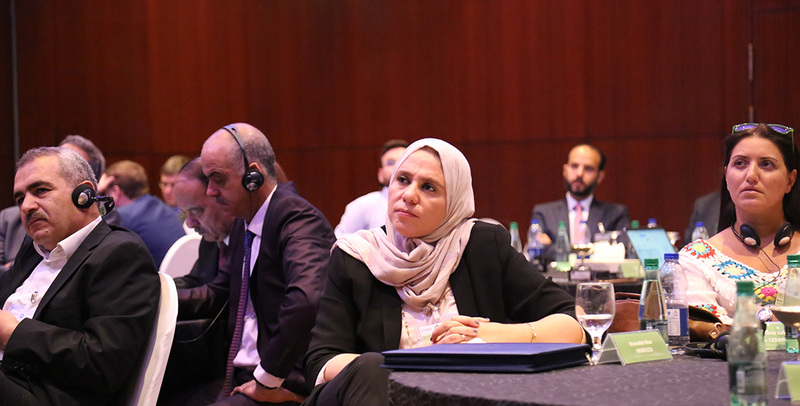 The workshop was designed to facilitate cross-country learning on drought management from countries in the MENA region where the project had been implemented, as well as other countries where drought is a persistent threat. Participants discussed, among other things, drought monitoring development and validation of results, vulnerability and impact assessment results and how they could be used in policy development and planning, as well as shared ideas on going forward with planning and policy-making. Experts from Jordan, Lebanon, Morocco and Tunisia presented drought monitoring validation results for their respective countries. For the past several years, in collaboration with national governments and organizations such as USAID, the Food and Agriculture Organization of the United Nations (FAO), and NDMC, ICBA’s climate modeling scientists have been providing hands-on training in these countries on how to create drought maps through an operational drought monitoring system. As a result, the local specialists have been able to successfully monitor the severity and location of droughts, helping local authorities to better plan and manage water resources and other drought-related problems. “Mapping the drought through a particular framework and set of indicators is the first stage of building a comprehensive picture, because it needs to be operated and applied at a particular scale and it is also helping to refine the indications of factors that are causing drought in regions like the MENA. Information which is properly analyzed becomes crucial to building policy and building wisdom at the same time,” added Dr. Kevin Winter. While addressing the participants, Dr. Rachael McDonnell, a principal scientist in water governance and policy at ICBA, highlighted the accomplishments of the MENA-RDMS project. Dr. Rachael McDonnell thanked partners, particularly local governments, USAID and NDMC for their generous support to the project. ICBA has been leading the MENA-RDMS project since 2015. The main aim of the center’s climate change work is to develop new insight into the possible impacts of climate change on water and food security, particularly in areas that are currently or likely to be become marginal, and to develop innovative adaptation policy, technical and information solutions.